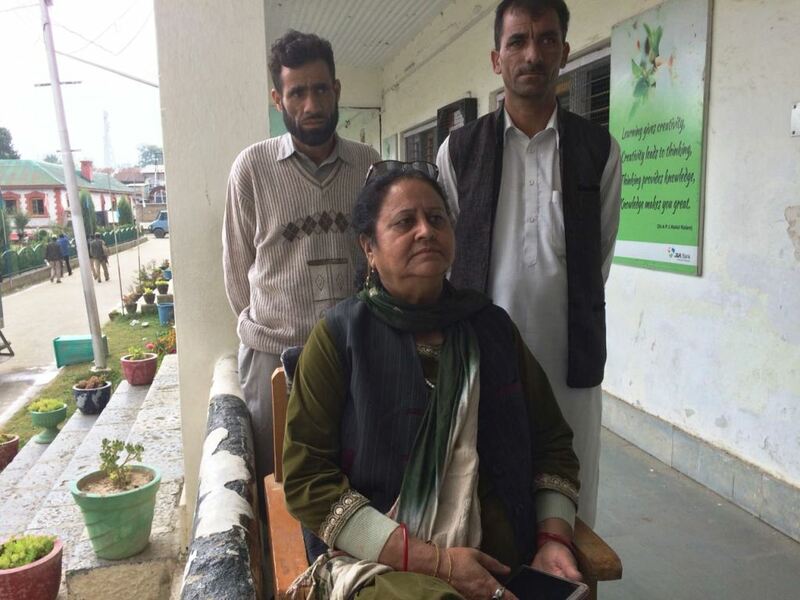 ANANTNAG (Islamabad): At around 2 pm, sitting in a corner of spacious Government Girls Higher Secondary School, Rani Bagh in Anantnag, Sheila Koul Handoo, 62, a BJP candidate from Cheeni Chowk awaits for prasad (blessing) vote from besieged Kashmir valley. But the wait seems to be unending as none among a handful of voters, who turned out to cast their votes, was a familiar face to Handoo. Unlike Handoo, her rival from Congress Bashir Ahmad Khan aka Pahalwan looks desperate as he paces down the spacious school lawns. “If you are from media, then I cannot talk to you,” he busts out wearing a worried look on his face. A few moments later a local Congress leader walks in followed by his security guards. After exchanging the data of votes cast so far, he and Pahalwan both start making desperate calls to their workers and friends. “Reach here within five minutes along with your wife else we will lose,” the leader shouts over the phone. 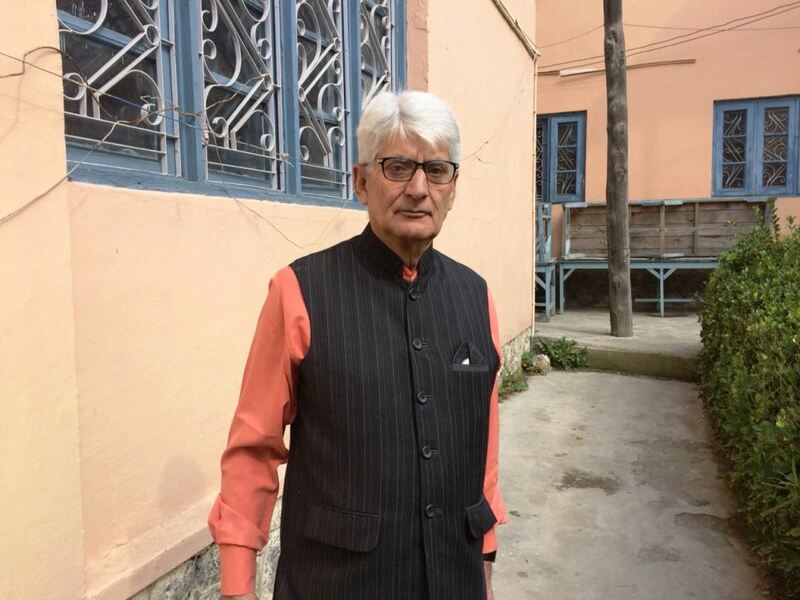 Outside the polling station Ghulam Hassan Dar, 75, a retired lecturer, who has earlier served as Vice Chairman of Municipal Committee, Anantnag, keeps tab of every voter who walks towards the centre. Dar is contesting on a Congress ticket from Janglat Mandi area. Till 1 pm, all three polling booths in Janglat Mandi ward had polled just 14 votes out of 2450 registered in the list. But Dar is confident of winning as he claims that he has secured 13 votes so far. “We have a family of six, which means six votes. Plus my seven close relatives also voted,” said Dar with a smile on his face. 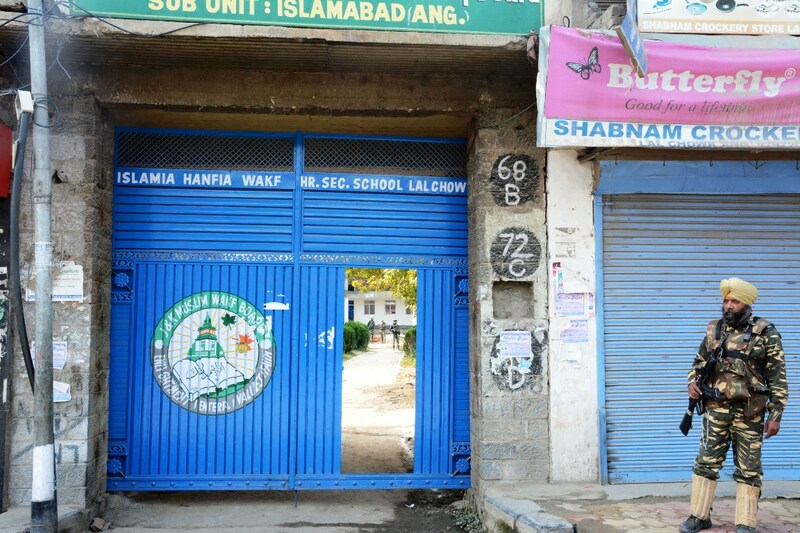 Around lunchtime, a private load carrier van, with policemen in civvies sitting inside, makes its way into Hanfiya School in Lal Chowk, Anantnag. As it stops inside the highly guarded gates, policemen on poll duty, circle it from all sides. One-by-one policemen take food packets and a water-bottle from the vehicle and find themselves a shaded corner to eat. Within minutes the vehicle moves towards other polling both to feed policemen stationed there since wee hours. In a corner, a few polling agents of Congress and BJP look helplessly as they endlessly wait for voters to turn up. “Let’s see what happens till 4 pm,” said one BJP polling agent who refused to share his name. A few kilometres away at Women’s College, Anantnag, the polling station for voters of Sher-e-Kashmir (SK) colony looks equally deserted. At the entrance, policemen make sure that no media person gets inside even by chance. “We have strict order not to let any media person inside,” said a policeman guarding its gates. But five minutes of convincing that this reporter carries valid permission given by the Election Commission of India, he lets him inside but half-heartedly. “You can go but be quick and don’t talk to any voter please,” said the policeman. A policeman standing next to him quickly reminds his colleague that there are no voters inside! At the end of the long and silent corridor, which on a normal day would bustle with student chatter, a few men are sitting under the October sun, taking a siesta on college chairs. In a corner sits Shadi Lal Bhat, 72, a last-minute BJP candidate from SK Colony. Bhat’s wife Sheila Handoo is contesting from Cheeni Chowk ward. “This entire exercise is futile as people are allowed to vote after checking their identities properly,” said a nervous looking Bhat. Bhat, who owned a furniture business in Cheeni Chowk migrated in 1989 along with his family to Jammu. But Bhat visits Kashmir on and off as his wife has a flat in Government Housing Colony, Anantnag. In the last four days, Bhat is calling his Muslim neighbours, friends, and classmates, who he had last seen almost two decades back, to convince them to come out and vote. But so far none has turned up to cast a vote. “I know they are afraid,” said Bhat. Bhat accuses his rival, a young local boy contesting on a Congress ticket, of getting people to vote without proper identity check. “Who knows who these people are,” said Bhat. As the day nears to end the final poll figures reveal that only 374 (1.13 percent) votes were cast in 16 wards comprising 32904 registered voters. The Anantnag Municipality has 25 wards and in nine wards, there was one nomination each and they were already declared winners. However, 16 wards witnessed a contest between 36 candidates.